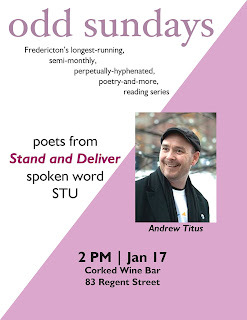 Returning to Corked Wine Bar (83 Regent St.) on January 17 is the "odd sundays" reading series! The featured guests will be the spoken word collective, "The Uprisers" from St. Thomas University. Members include Blair Webber, Tyler Lifford, Brianna Parker, Victoria Vee, Anthony Bryan, and their professor, Andrew Titus. 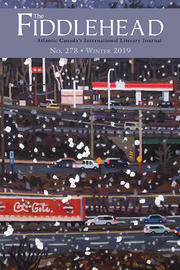 The collective draws its inspiration from the likes of Shane Koyzscan and Sarah Kay, and is dedicated to spreading the poetic word to willing and unwilling ears alike! 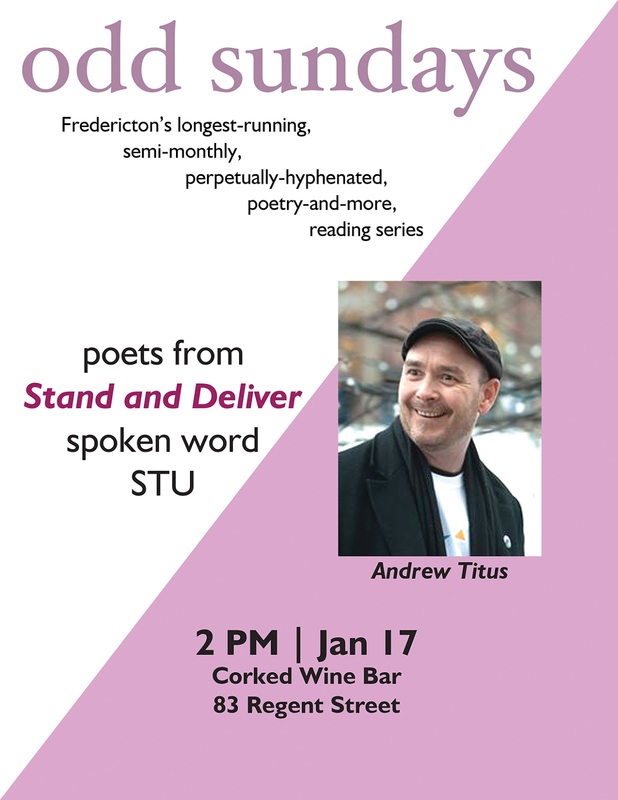 Audience members should come ready to be dealt a powerful, sometimes quiet/sometimes boisterous, raucous and reflective deck of poetry, served hot. Festivities get under way at 2pm. Open mic session and book draw as per usual afterwards.